In today's economic climate, where trust between business and IT in most companies has never been more fragile, we have to find the possibilities to completely rethink IT, and transform it into a strategic asset for our companies. But this won't be an incremental change; this will be a fundamental paradigm shift - and this book can be your guidebook. 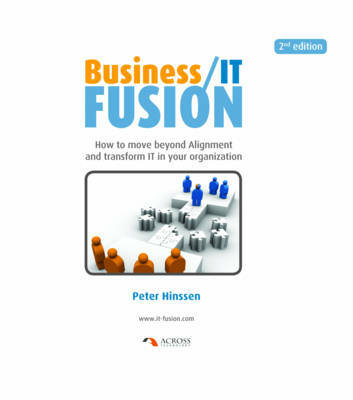 This book provides an answer to the following questions: * What is business/IT Fusion and what is the difference with business/IT Alignment? * How will the new Fusion of business and IT function, particularly in its relationship with the business customers and with its suppliers? * What will the new IT organization look like from a Fusion perspective? * What are the tools and mechanisms to make Fusion work? How can we implement 'intelligent governance' and move from budget thinking to portfolio thinking? * How can I use the concept of architecture and turn this into a business instrument? * How will we staff these new IT organizations? What type of skills do we need, and how will we attract them? * How can I rebuild the image of IT, and market technology innovation to the business? * What will the new breed of CIO look like, who can transform IT into a Fusion concept? * How to build a 'new deal' between Business and IT, and how to maintain it? This is a book for IT professionals (IT and Business people), to assist them in dreaming up the next wave of information technology and information technology departments. This is a book to help them think about what's next for their organisation, for their department, and for themselves. This is a book that deals with the capabilities; mindsets and strategies that will help shape the next generation of information technology.